Weather forecast in Karakorum looks good and Thursday/Friday look good for summit days. The problems for teams on Gasherbrum I are acclimatization and lack of Sherpa support. 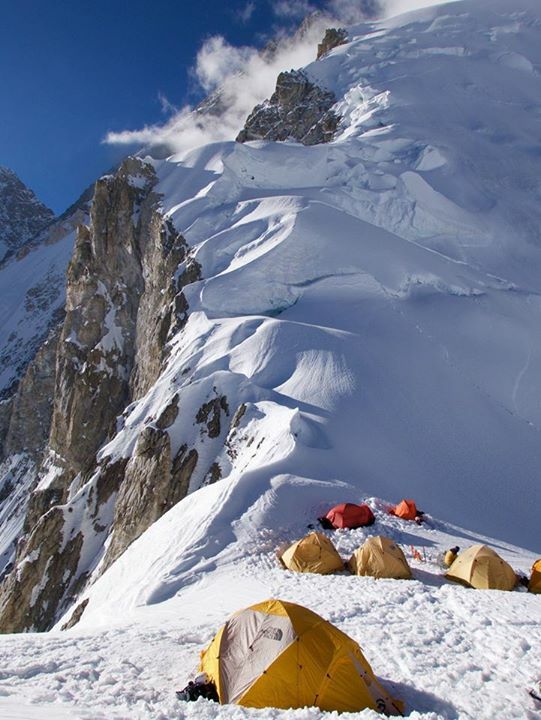 There is no commercial expedition on Gasherbrum I this year, and climbers have spent night in camp 2, 6400 meters. The most technical part of climb is route from C2 to C3, which has not been prepared yet. There is vertical climb of 700 meters which goes through Japanese couloir and leads to C3. 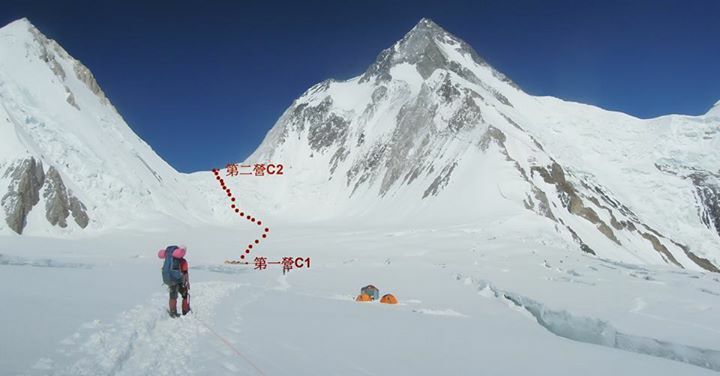 Gasherbrum I 8080 meters: Picture shows route from C2 to C3 and Japanese couloir. Most of the teams have decided to give it a shot at least, and there will be combine effort from all teams to fix route from C2 to C3. French climber Yannick Graziani is already in high camp, his team members Ferran Latorre and Thomas Tom Seidensticker will leave on Tuesday July 14th and will go straight to Camp 2, they also have one Pakistani high altitude porter. Gasherbrum I 8080 meters: Route from Camp 1 5900m to Camp 2 6400m. Taiwanese team of four climbers will also join them in C2 and they will prepare route from C2 to C3. Nicholas Brice will also be a participant in the summit push. Nick, Yannick, Ferran, Tom and Taiwanese team had a meeting on Sunday. 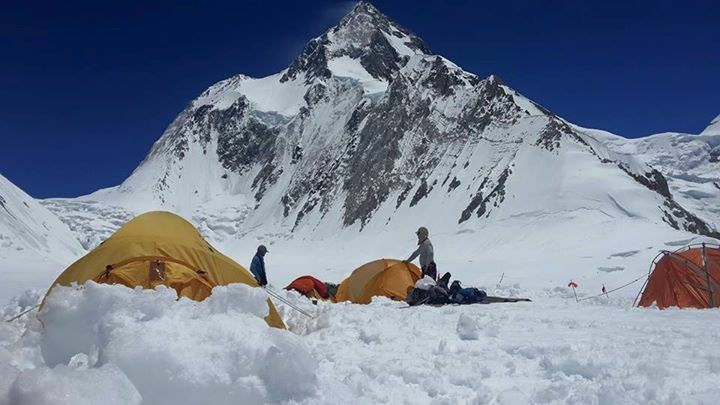 It was decided that they will leave on Tuesday early morning and go straight to Camp 2, spend two nights in Camp 2 and then all climbers will change positions one by one to fix route on Japanese couloir, Friday will be the summit day if all goes well. Gasherbrum I 8080 meters: Picture taken from Camp 1. Simone La Terra, Italian climber will also join the hands with other teams on summit push. Polish lady climber Kinga Baranowska has spent a night on Camp 3 and she is acclimatized enough for the summit push. She will leave from base camp on Tuesday July 14th and her expected summit day is Friday. 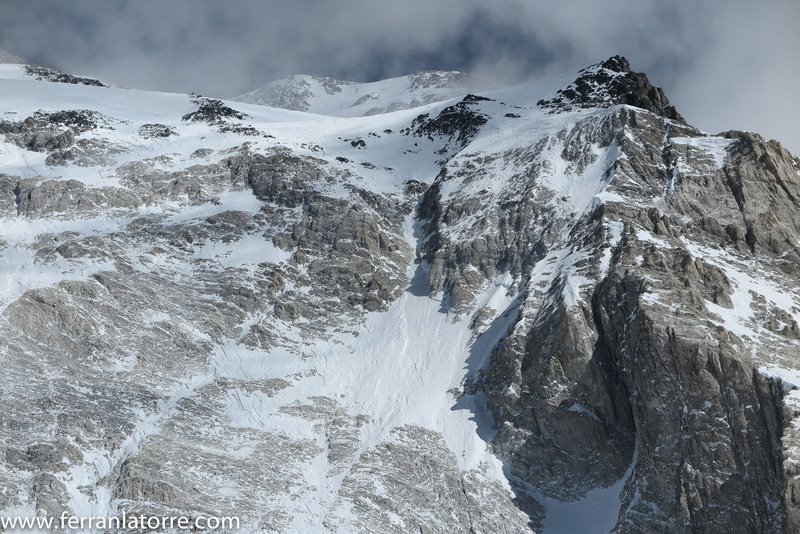 Chilena G2 2015: A team of three climbers is in Camp 1 already and they will ascend to camp 2 on Tuesday July 14th and their expected summit day is Thursday.